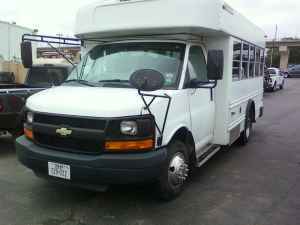 Used Chevrolet Bus For Sale?? 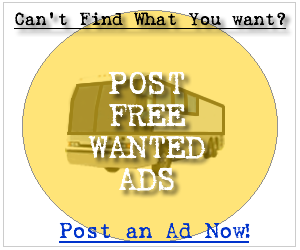 --> Sell Chevrolet Buses Here! Whether you are in the market for a new Chevrolet bus or a used Chevrolet bus you can be sure to find a service at your fingertips to get the job done. Below you can find the first 100 Chevrolet bus for sale ads listed in our system, sign up and contact the seller of any of the following new or used Chevrolet buses. It's Free! 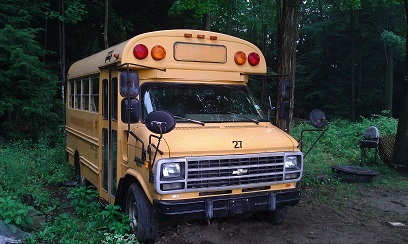 It is a 1990 Chevy,Model 30, v-8,automatic transmission short school bus in pretty good shape with 170,000 on it. It will seat 15 to 22 passengers depending on their size. It would make great little camper or small bus for a church group like Sunday school children. FULLY RECONDITIONED SHUTTLE BUS WITH 26 MID BACK SEATS INCLUDING 2 DOUBLE FLIP SEATS PLUS DRIVER & CO-PILOT SEATS WITH 2 WHEELCHAIR POSITIONS - BRAUN WHEELCHAIR LIFT. 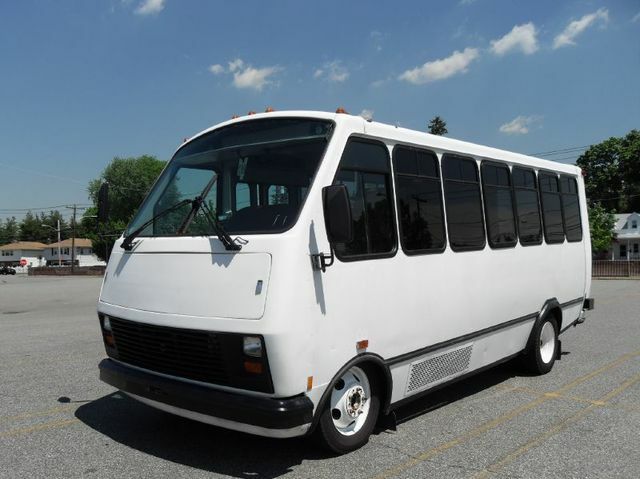 Less than 10,000 miles on this fully reconditioned 2001 Startrans Fibrerglass 27 passenger shuttle bus plus two wheelchair positions with an 8.1L V-8 gas engine! The bus has been thoroughly reconditioned, serviced, checked and road tested and is clean, fully equipped and in excellent condition. 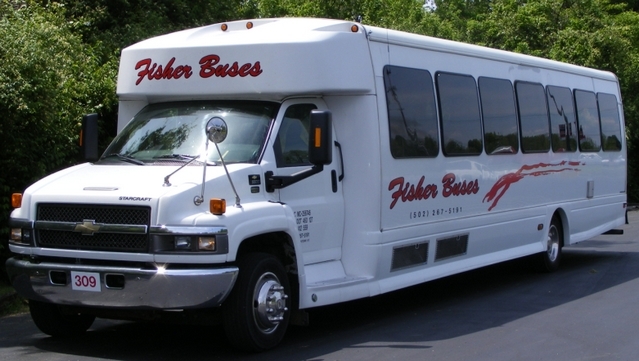 Perfect for Tours, Charters, Shuttle Service, Church, Adults, School, College Sports Teams, Casino Runs and much more. Fully inspected!! Well maintained!!!!! This would be a great vehicle for your transportation company, church, school, college, or association. It has numerous safety features, not to mention it provides a comfortable ride! Its high passenger capacity and overhead luggage compartment is ideal for charters, trips, tours, and outings. Please feel free to call and work out your arrangements: Charlie at (516) 333-7483 or visit our website www.getanybus.com to see the other 25 buses we have in inventory. 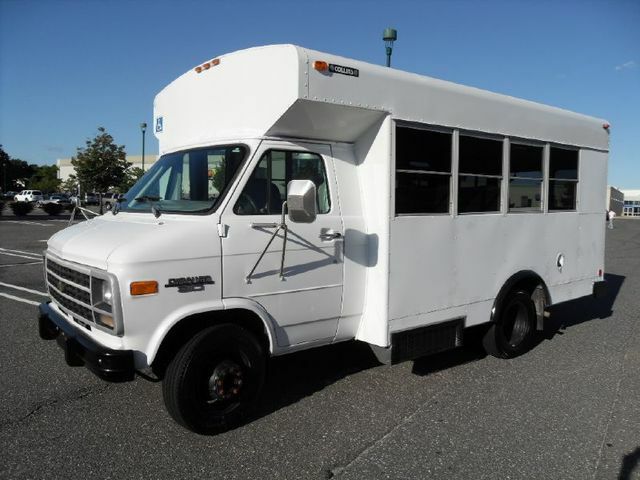 2003 CHEVROLET G3500 EXPRESS 12 PASSENGER PLUS DRIVER SHUTTLE BUS with only 73,863 Miles! With an asking price of only $17,500, this shuttle bus is great value! This bus has just under 104,000 miles that is powered by a Duramax Diesel Engine and Allison Automatic transmission. 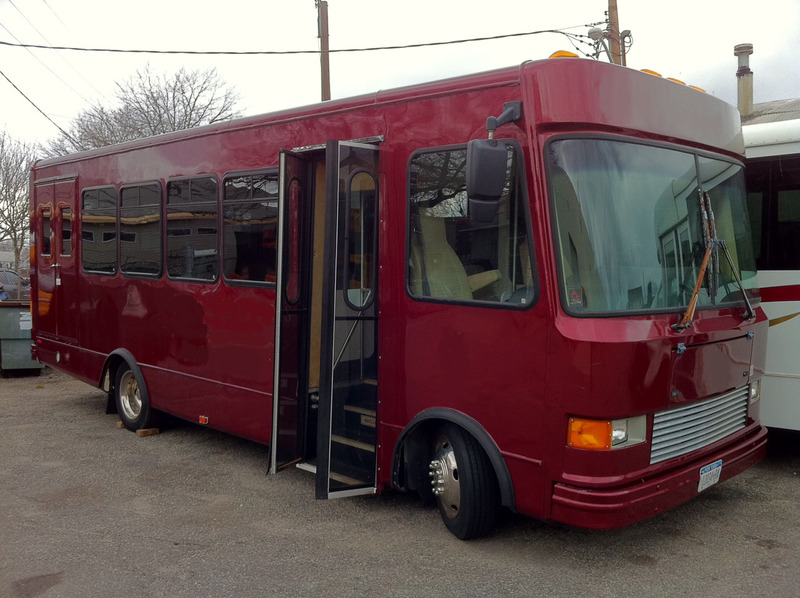 Thisbus is in Great shape and if you have any questions feel free to call Shannon (502) 267-5191. This day coach has around 104,000 miles on the bus that is powered by a Duramax Diesel Engine and Allison Automatic transmission. WORKHORSE CHASSIS - ELECTRIC DOOR - HIGH CAPACITY DUAL AIR CONDITIONING - OVERHEAD LIGHTING - ANTI-LOCK BRAKES. LARGE CAPACITY LUXURY MINIBUS - EXCELLENT EQUIPMENT THROUGHOUT!! THIS BUS IS IN EXCELLENT CONDITION BOTH INSIDE AND OUT. THE INTERIOR SHOWS VIRTUALLY NO WEAR AND THE EXTERIOR IS IN EXCELLENT CONDITION - REPATINED FROM THE WINDOWS DOWN. PERFECT FOR USE AS A TOUR - CHARTER - CHURCH OR SCHOOL TEAM BUS - LUXURY FEATURES WITH FULLY FINISHED WALLS AND VELOUR CEILING!! MECHANICALLY IT'S READY TO HIT THE ROAD! THE BUS HAS BEEN CONTINUOUSLY MAINTAINED AND HAS BEEN RECENTLY SERVICED, INSPECTED AND DETAILED. WE BUY AND SELL NEW AND USED BUSES. A GREAT VEHICLE FOR THE CHURCH, CIVIC ORGANIZATION OR LARGE GROUP NEED. 18 PASSANGER BUS THAT CAN GET YOU ANYWHERE. TAKE SOME SEATS OUT AND CONVERT IT TO AN R/V OR CARRY THE ENTIRE FAMILY ON VACATION AND HAVE MILES BETWEEN YOU AND THE KIDS. CHEAP AT THE PRICE. 2006 Turtle Top Odyssey XL, 37 passenger, 59k miles!! Chevrolet 5500 chassis with the 6.6L Duramax Diesel engine. Still has manufacturers warranty on the engine until 100k miles. Manufacturers powertrain warranty. Vehicle has brand new high back level 5 Freedman reclining cloth seats! Call Bryan at 800-227-3572. $67,900.00 OBO. Vehicle is perfect for transportation companies, limo companies, schools, churches, large corporations, hospitals, and personal use. Don't miss out on this great vehicle. Vehicle costs over $120,000.00 brand new!